Two big announcements coming out of the Wood Brothers Raicng shop based out of Stuart, Virginia, on Thursday afternoon. WBR has announced they will form a technical alliance with Team Penske, another Ford Motorsports racing team in the NASCAR Sprint Cup Series, and they have hired young driver Ryan Blaney to run a partial Sprint Cup schedule for the No. 21 team in 2015. Blaney, the son of NASCAR driver Dave Blaney, will run at least 12 Sprint Cup races, which will be sponsored by Ford Motorcraft and Quick Lane divisions. The announcement, which is really no suprise to anyone, comes after Trevor Bayne was tabbed to drive for Roush-Fenway Racing next season. WBR has has a technical alliance with RFR in the past, but will be realigned with Penske. Blaney, the current points leader in the Camping World Truck Series, will run his second Sprint Cup race this weekend, when he races the Wood Brothers car at Michigan in place of Bayne, who will be running the Nationwide race at Mid-Ohio. Blaney is slated to run the Daytona 500 next year for the Wood Brothers. Other races for the driver include the July Daytona night race, Las Vegas, Texas, Talladega, Charlotte, Michigan, and Indianapolis. More are to be announced. 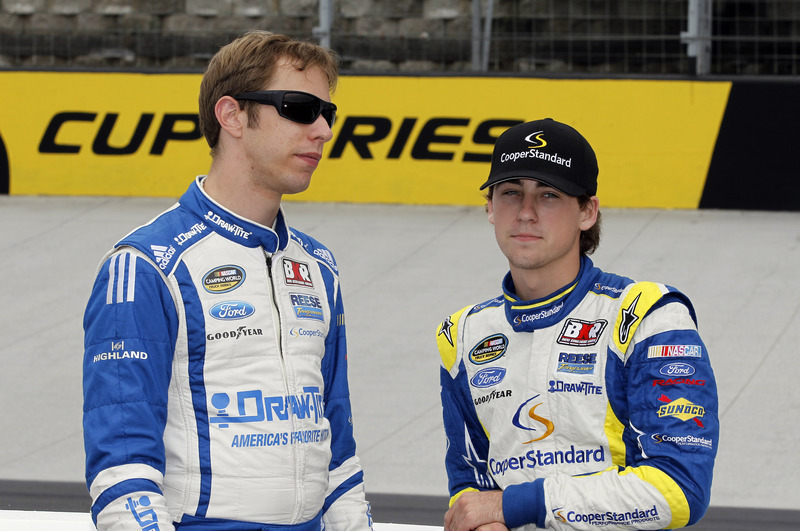 Blaney also will drive a Team Penske Mustang in the 2015 Nationwide Series.